It was confirmed today that all four Mickey’s Princesses & Pirates Party events, due to take place in June, have been officially cancelled. Originally scheduled for the 1st, 10th, 17th and 24th June, the new after-hours parties promised exclusive events and character encounters, with attractions open in Adventureland and Fantasyland, for €25 or £22. Anyone who has already bought tickets will be contacted directly by Disneyland Paris with an official statement. We announced the details just last month and you can see the full list of events-that-weren’t-to-be on a guide page here. No reason for the cancellation has yet been given, although the obvious assumption would be poor ticket sales. The combination of Pirates, Princesses and exclusive after-hours rides might have seemed a winning formula, but for events costing €25 and beginning at 8pm, when most children are already tired or worn out from a day in the parks, they were perhaps pinpointed at a much too young demographic. Beyond the rides, the promised entertainment offered little for all but the most obsessive character fans, and even the attraction count was a meagre eight with Pirates of the Caribbean the biggest thrill. Similar events in the US have given access to the whole park and often a fireworks show, enticing adult visitors. Hopefully this won’t put off any future attempts for new nighttime parties at Disneyland Paris — but next time, perhaps some better audience research could be involved. I am sooo disappointed!! I booked the week for this event! and then called all over to locate tickets (2 days of effort and in the end it was easy via Disney CRO)…have just had the event added to my booking and money deducted (19/4) and now this…boo hoo. Feeling sorry for myself and my little girl. 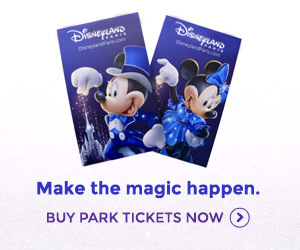 Any ideas of how to spend my money for a truly magical Princess experience? I have reserved a Princess make-over, so that’s something to look forward to. 2 years ago we had a less than average experience of the “Auberge de Cendrillon”-very poor service, no wine (they had “run out” but I had been told it would be unlimited!) and hardly any character interaction-any advice for Princess interaction would be greatly recvd!! btw, this website is fantastic…so full of useful and intersting facts. Thank you for the information. I must say that I am not surprised if they have poor ticket sales, as so many people have not seen this advertised. I do agree that to attract mor sales needs more advertising, and also more attraction like having fireworks and all suitable rides open. Marinanne – Auberge DC is still the main place for Prince/ Princess interaction.If you book an early time, you can stay as long as you like, so get good value for money. Ask for a table near the fireplace to see them dance. Most reviews are very positive, with people saying that their daughters faces made it worth the cost. lunch or dinner at Auberge following a Princess makeover is the best I can think of. You can see the locations for meeting Princesses in the park on the programme. This has nothing to do with poor ticket sales! It’s a real same Disney have cancelled this event. We as a family, (2+3) did look at going, but the dates looked a little strange for us, some mid week, not school holiday for us. This could reflect in any low ticket sales or is it us customers don’t have the extra €25 each on top of the ticket price to go. It’s really a bad news. My daughters and my sister are 3 princesses and i’m sure this event would have been very well. But why cancelling all the evenings ? This idea of event was one of the main good stuffs of this Magical Moments Festival. The Auberge de Cendrillon” when we went was amazing ! What is happening with Disneyland Paris this year? Increase in ticket sales, cancelling of this party and Princess Pavilion not complete? Along with all the major updates to get ready for the 20th Anniversary! To me it seems as though this year does not matter to the park and more effort is being put in for the next year. Although it is a big festival next year – the customers still need the same quality now in order to want to return etc etc. I hope that people who bought tickets will get a special offer, like a free meal, because of the cancellation, but when it comes to Paris I doubt that. This event would have been more sucessfull on a Friday evening with Fantasyland opening most of their attractions Pirates in Adventureland and Big thunder mountian and Phantom Manor in Fronteerland with special shows in front of the castle utilising Wishes projectors for shaddow effects. @Paula. Me again (MickeylovesPluto), I’ve found some more infos. The concept is called ‘Princess for a day’. The girl get a ballgown and professional hair and make-up. I don’t know for sure if you can keep the dress. costs are between 60 and 130 euros. There are options for a photoshoot and tiara and such things, which make it all a bit more expensive. Read on the internet that it takes over a hour to finish it. Hope you daughters will like it!